While Joe Kennedy was grooming his sons for the White House and the Senate, his Stanford-educated daughter Eunice was tapping her father's fortune and her brothers' political power to engineer one of the great civil rights movements of our time on behalf of millions of children and adults with intellectual disabilities. 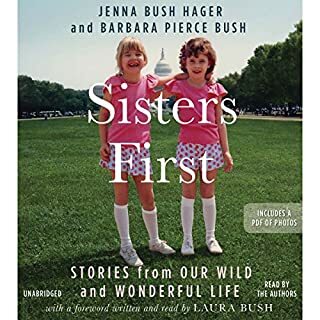 Now, in Eunice, Pulitzer Prize winner Eileen McNamara finally brings Eunice Kennedy Shriver out from her brothers' shadow. 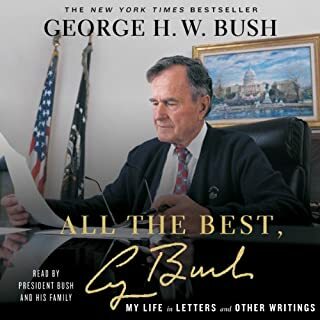 Drawing upon excerpts from her diary, which she has compiled for more than 30 years, Mrs. Bush takes us behind the scenes of the Persian Gulf conflict and the end of the Cold War. 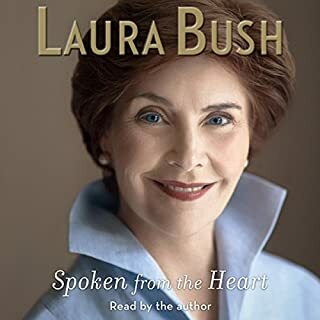 She talks about both the Bushes' struggle to overcome Graves' disease and how she faced the controversy that erupted at Wellesley College before her commencement speech. Through the friendships she developed over the years with world leaders and their spouses, we meet and get to know the Gorbachevs, the Thatchers, the Mitterrands, the Mubaraks, and many others. 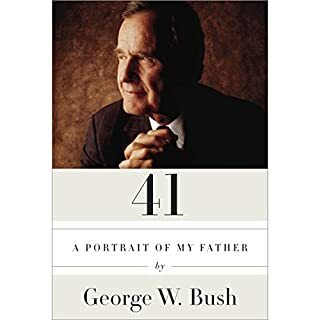 I bought and read this book many years ago and enjoyed it so much I could not wait to hear Mrs. Bush read it to me. I said at the time that I thought it one of the more delightful books I had read in twenty five years and after listening...I have not changed my mind. It is so well done but I believe that to be true because in this case, truth is better than fiction. This is a real love story about people I can be VERY proud are Americans and served my country, each other, their family and friends with love, honor, and loyalty. And they love God...most important of all. Very happy to experience such a fun peek into their lives. We listened around our campfire together. It was very easy to hear her emotion during the happy times and more through the sad times. Loved it! I absolutely love Barbara Bush. I have followed her a long time. I dare say I voted for her husband twice because I love her! Yes she uses the same words for emphasis, and it’s how she really feels. What sweet and wonderful woman! A woman of great grace. Loved her perspective and storytelling. Made me long for a time when grace, class, manners and family were goals for women. She is worthy of looking up to in that regard. I felt like I was having coffee with her and only wish there had been more. Rest in peace dear lady. And thank you for your service to this nation. Barbara is a woman of dignity and elegance ! She is a role model for all of us ! Humanized the Bush family to me. Left me wanting to know more. Great family with strengths and weaknesses like all others. Seems like they were good, moral people...which is definitely what this country needed and still does! A beautiful reading of a wonderful life. 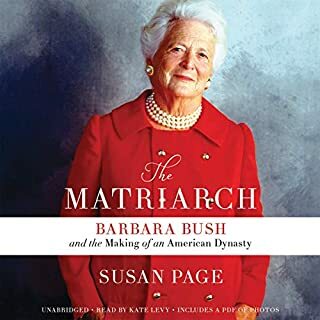 Barbara Bush relates the story of her marriage, motherhood, and life in politics. She is entertaining, frank, and funny. Truly a national treasure. I enjoyed this book very much. I loved it actually. I'm going to buy the paper book soon. 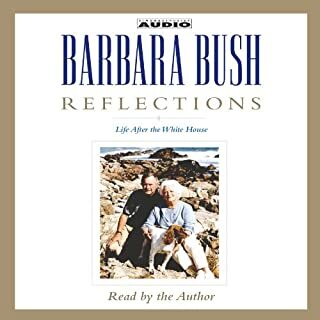 I have always loved Barbara Bush. 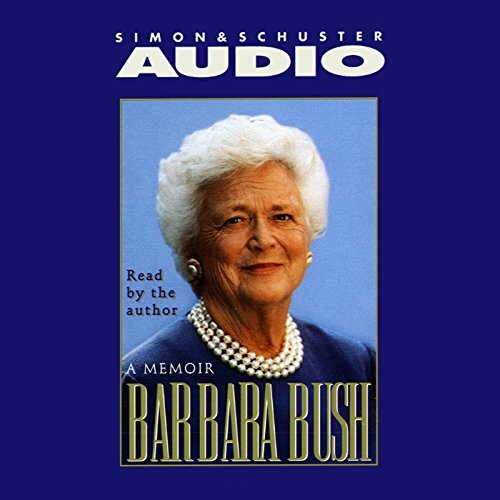 Hearing her narration was very comforting. It was almost like being there talking with her.